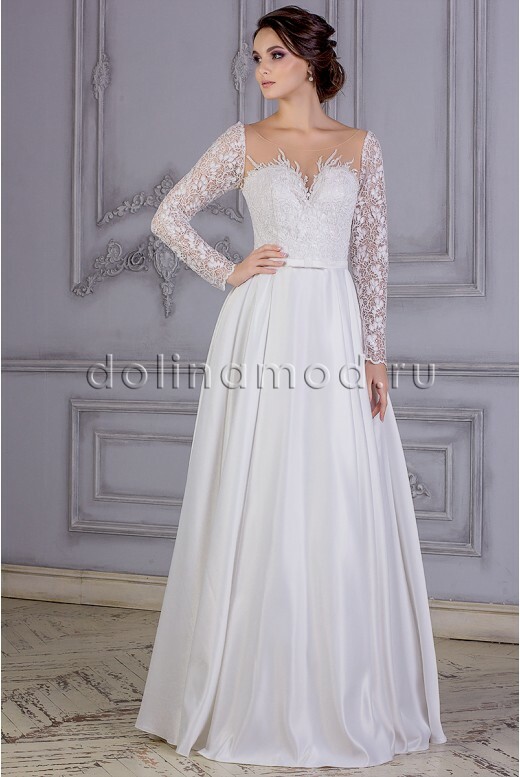 Wedding dress cream color with long sleeves and a skirt of satin. Corset on a body basis, covered with lace and sequins. At the bottom of the bodice belt of satin with a bow in the center. Lace sleeves .Open back with lacing.